We would like to take this opportunity to formally introduce our organization Soccer Skills Development [SSD]. We are a youth development soccer organization. We are pleased to have to been selected by the SCNM as the In House training staff working with your younger players and coaches this 2012 fall season. Our philosophy at SSD is to develop individual player skills and techniques. We feel strongly that youth players learn in a fun, positive atmosphere where they get to touch the ball as many times as possible. In addition, encouraging good sportsmanship, and team social skills in our youth player’s will also help nurture a real passion for the Beautiful Game. Over the 9 weeks of the fall season our trainers will be working hard to keep the players and coaches motivated with youth inspired sessions. 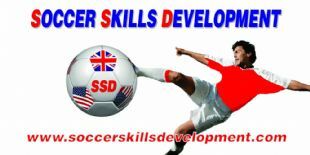 Coaches and parents can review any weekly session, as well as past training sessions on our website www.soccerskillsdevelopment.com. This is a great way for coaches to stay familiar with the training ideas set out by the SSD trainers. You will see myself, Darren Trim, or my partner, Danny Simpson, at the Pettibone fields on Saturday mornings. We are both very approachable and enjoy getting to know the players and their parents. If you have any feedback, positive or negative, let us know ( ). We are excited to be partnered with SCNM and hope your child enjoys there soccer experience with SSD.